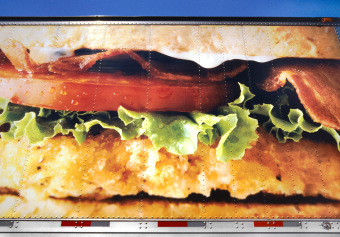 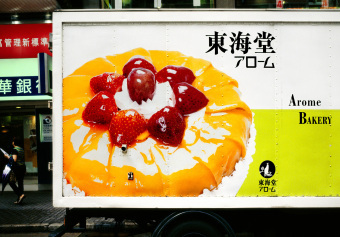 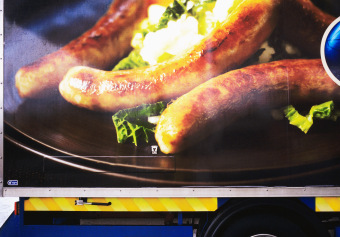 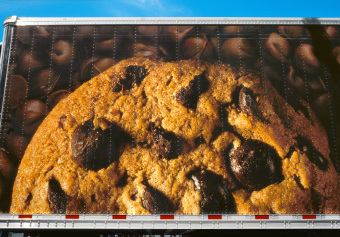 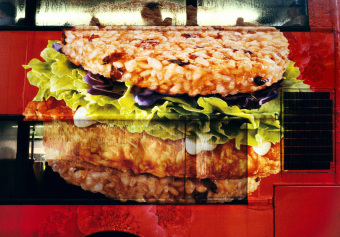 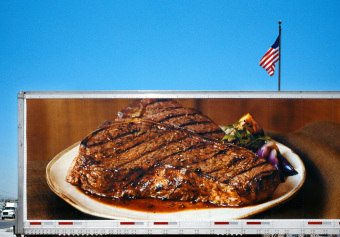 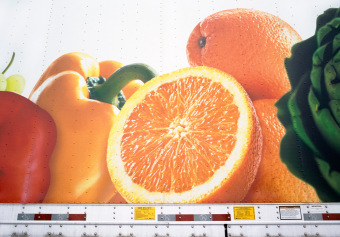 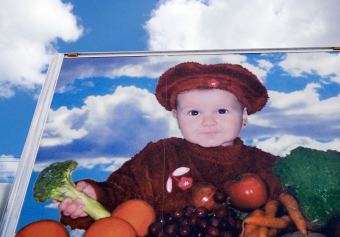 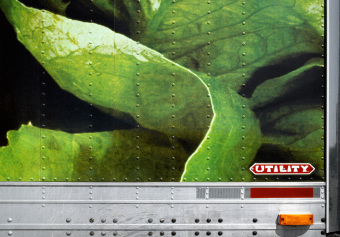 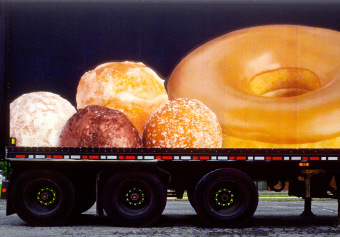 Behind the Mall is an exploration of the visual propaganda of mobile food advertising. 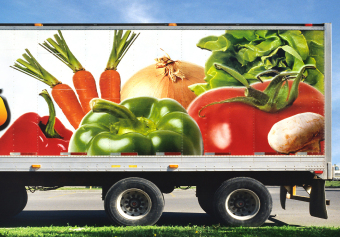 Its central theme is the industrialization of our food and the dulling of our perception to a point where we are removed from any direct knowledge of our food production. 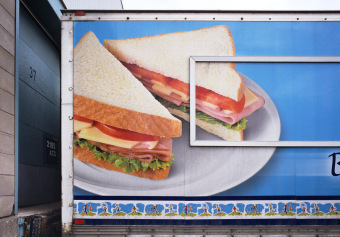 It is also intended to reveal both the humour and irony in our everyday landscape that are not always immediately evident. 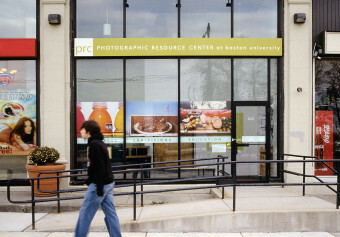 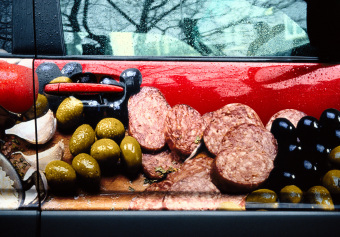 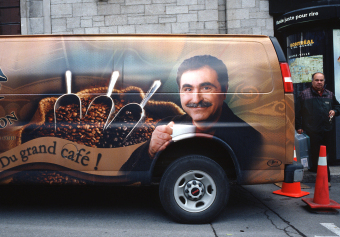 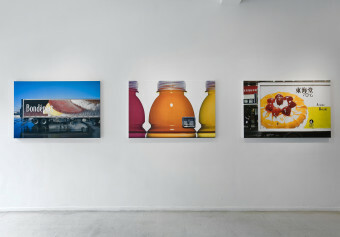 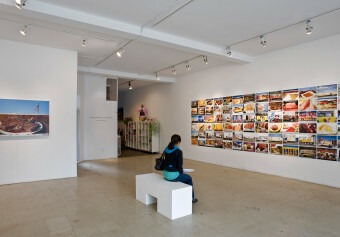 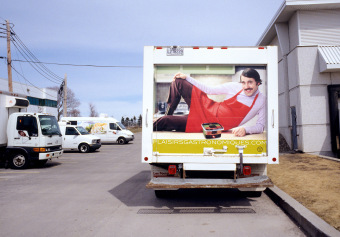 Selected Solo Exhibitions: Articule, Montréal, 2007; “What’s for Dinner?”, Silver Eye Center for Photography, Pittsburgh, 2007; DeLeon White Gallery, Toronto, 2007 | Selected Group Exhibitions: Photographic Resource Center, Boston, 2007; Houston Center for Photography, 2008. 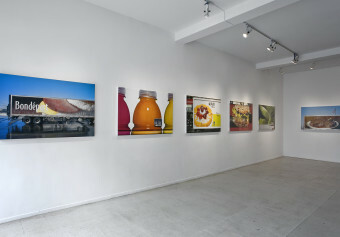 The Behind the Mall solo exhibition is made up of eight 40×60 inch archival ink jet prints on varnished canvas presented on stretchers, along with a 70×220 inch grid, composed of seventy-eight archival ink jet prints on matte paper. 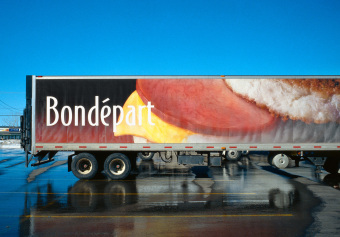 | Selected Reviews: Fabien Deglise, “Popote roulante : La femme qui courait après les camions expose des photos de poids lourds aux flancs de bouffe géante“, Le Devoir, 11 mai 2007. 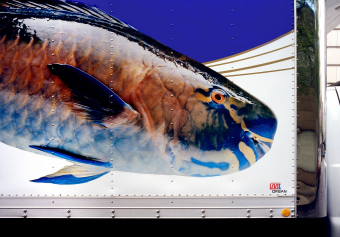 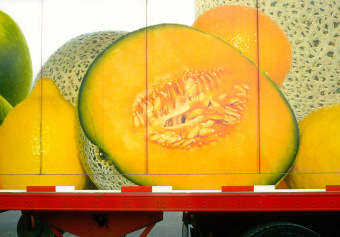 Mary Thomas, “Sharp food images keeps photog trucking“, Pittsburgh-Post Gazette, Ocotober 18, 2007. 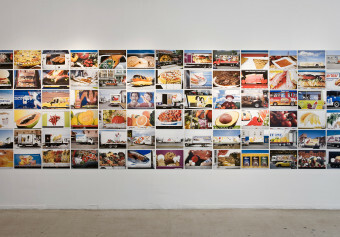 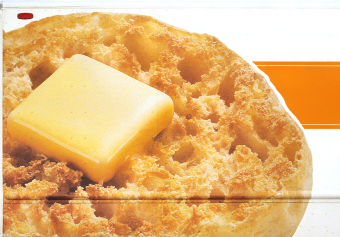 | Web/Print : A portfolio of images from the series appeared in FOOD (web|print), co-published by Alphabet City, Toronto and MIT Press, Cambridge, 2007.